On the bus from Alajuela back to San Jose, I noticed a big sign advertising a pet crematorium. Since I had just returned from visiting ZooAve, I instinctively noticed any reference to animals even more than usual. On the sign you could see the usual pets like cats and dogs. But flying behind one of the dogs was a Scarlet Macaw. And curling between the cats was a King Snake (or Coral Falsa). I neglected to take a photo of it but the image stayed with me very clearly. In my animal rights blog I detailed the major changes Costa Rica had gone through leading to the Animal Welfare Bill of 2017. In 2007 it was reported that over 300.000 wild animals were being kept as pets in Costa Rican households. This problem still exists today and ZooAve, an animal rescue center located just outside of Alajuela, is one of the institutions put in place to help fight these numbers. 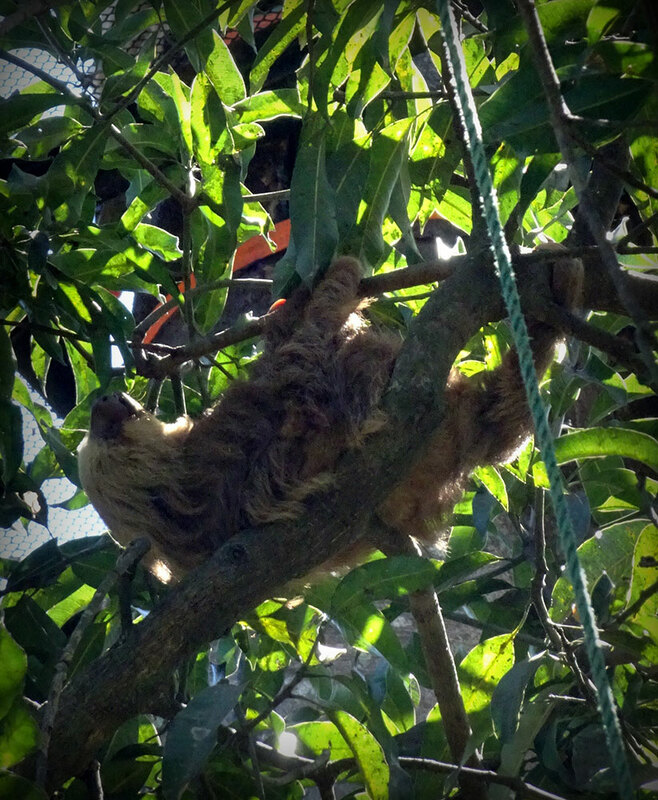 210 sloths released back into the wild! The Wildlife Conservation Law underwent a minor reform in August of 2017 and now defines zoos as institutions dedicated to the environmental education through the exhibition of animals. Rescue centers, on the other hand, are defined as non-profit organizations that remain closed to the public. Human contact is to be restricted to an absolute minimum so the animals can be returned back to their natural habitat. Rescate Animal ZooAve is a rather special case that hovers somewhere between these two definitions since it is both a zoo and a rescue center. They exhibit animals and focus strongly on education, that much is obvious. But they mainly accommodate wild animals previously kept as pets or those that have been badly injured. For some, of course, the injury or level of domestication has been too great and they will have to live out their lives in the zoo. Others are housed in the restricted section of ZooAve and kept away from the public. These are the animals that will be returned to their home. 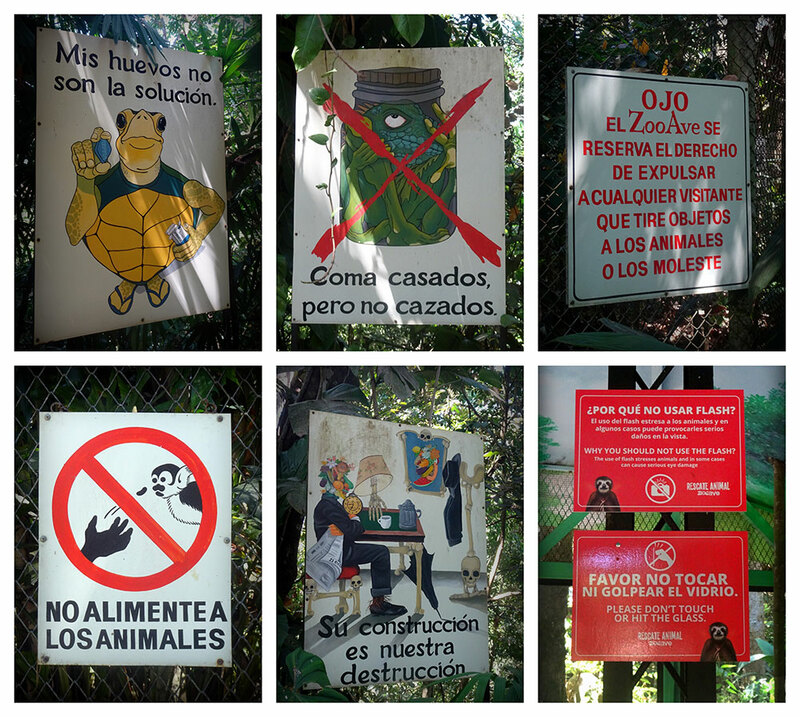 In fact, a lot of information plaques about specific species can be found around the park and some of them state the number of animals already reintroduced back into the wild. ZooAve provides basic education on the exotic animals themselves but focuses more on the general treatment of wildlife. Next to that, there is a strong emphasis on reeducating the public on matters of domesticating wild animals and environmental issues. Although ZooAve receives a fair share of tourists, it is pretty clear that the educational part has mainly been put in place for the locals. 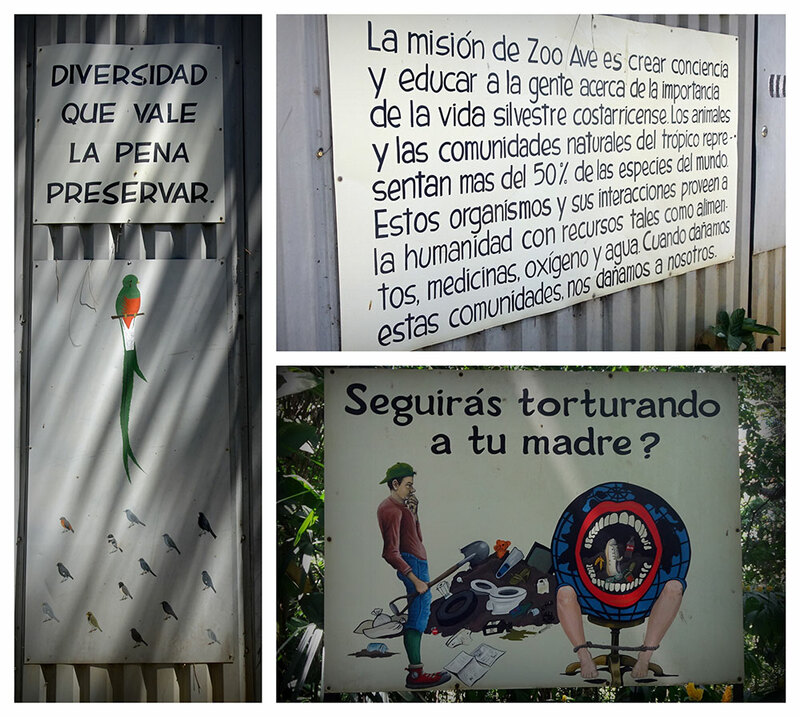 Many facts about wildlife as well as poignant cartoons can be found around the park and most of them are only in Spanish. Is this kind of education effective? I would say not really. The kinds of people who would pay attention to these messages are the ones who are already open to receiving them. For the most part I saw people simply running from habitat to habitat in the hope of seeing an animal. I think the messages themselves could be very powerful when introduced in a more interactive manner that engages kids and adults alike. This could include educational games available at resting points in the park, apps that guide you during your visit or even members of staff scattered around the park who can offer more information. 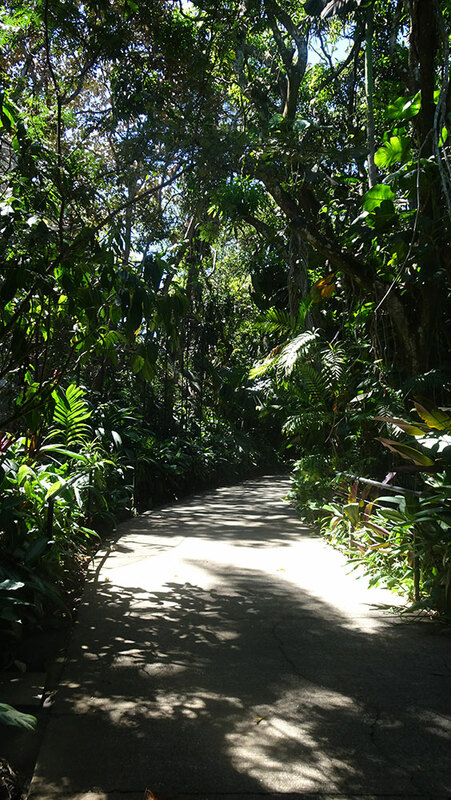 Walking through ZooAve is like walking through a large and very well controlled jungle. Great efforts are made to recreate the natural habitat and the animals are given room enough to move and even escape the public’s eye. In some habitats I didn’t see any animals at all, which annoyed some people but was a great relief to me. At least unlike a lot of other zoos, here the animals can take a break from us. The first creatures you see after purchasing your ticket (20 USD for foreigners), are macaws. Both Scarlet Macaws and hybrids illegally bred in captivity. A long series of enclosures follow, many of them with birds that have been injured. 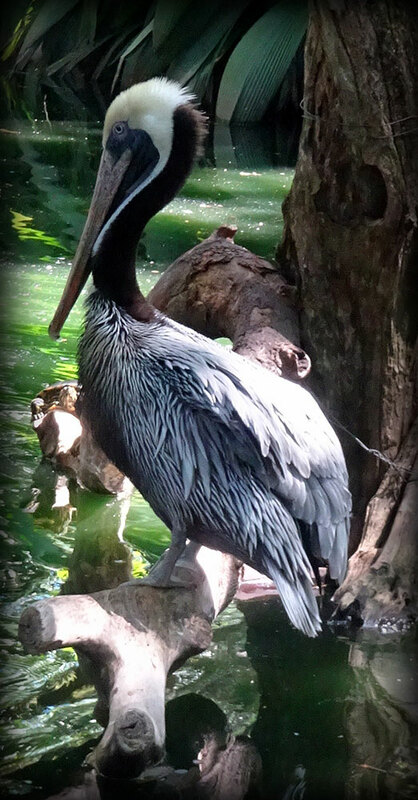 In one of the habitats you can see Grecia the Toucan, a proud symbol against animal cruelty. Back in 2015, this wild Toucan was attacked by some youngsters and lost part of his upper beak in the process. In 2016, it was reported that Grecia had become the first toucan to receive a 3D printed prosthetic beak. At the time of my visit he wasn’t wearing the beak. An information board explained that every 12 weeks, the prosthetic needs to be replaced and Grecia is left without it for 5 days. You can see Grecia, but the foliage in his cage is very thick. Try not to spend too much time trying to get a good look or even a photo because the stress of the attack and the sudden enclosure following it is still very apparent in his behavior. 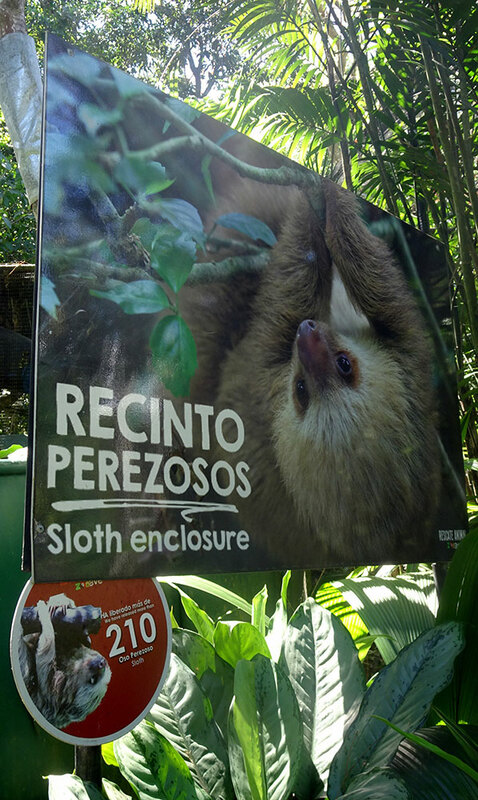 During the remainder of your visit you can expect to see a great number of birds, monkeys, turtles, peccaries, a coyote, tapir, snakes, crocodile and caiman, two-toed sloths and also a number of felines. When looking up at the trees in one of the habitats, I could see what resembled the small house I once built for one of my cats. Inside of this treehouse was a jaguar. Sound asleep. 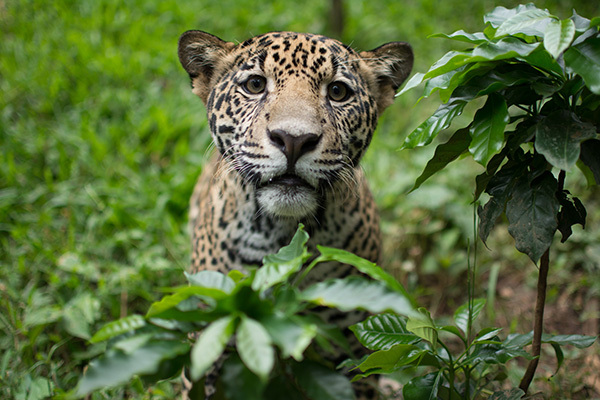 Guapo the jaguar is named after the town of Guapiles where he was found after hurricane Otto hit in 2016. He was only a cub; he was scared and hungry as well as severely dehydrated. The man who found Guapo could not spot his mother anywhere, so he decided to take him to the Veterinary School of the National University where they took care of him immediately. Guapo arrived at ZooAve weighing in at almost 3 kilograms and has since grown into a healthy cat of 41 kg. 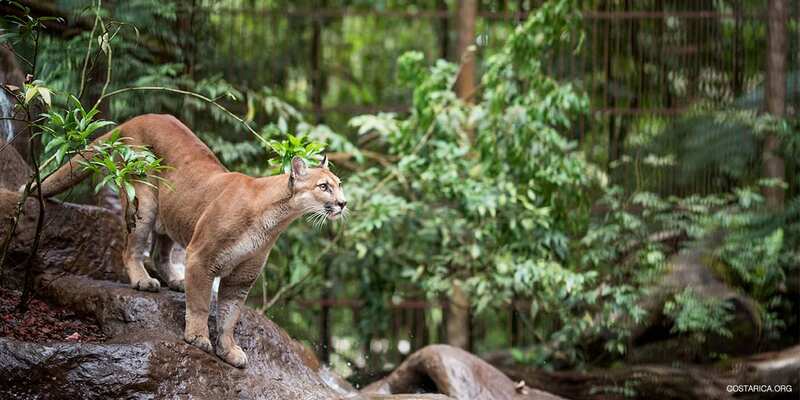 He moved into his new habitat in June of 2018 and has tall trees, vegetation, a fresh water pool and plenty of shelter within an area of 400m2. Since Guapo has had a lot of human contact since infancy, he cannot be released back into the wild. But Animal Rescue Center ZooAve does its best to provide for this gorgeous cat. 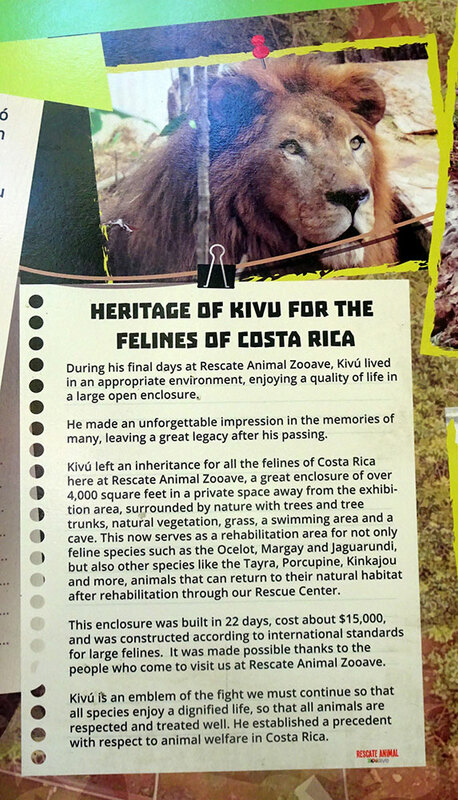 In 2013 it was reported that Costa Rica wanted to close its state zoos (the Simon Bolivar and Santa Ana Conservation) and release all the animals back into the wild. This is of course a rather unrealistic goal. For one, so many of the animals who inhabit these zoos will not be able to adapt to life in hostile surroundings. Since zoos have already been created, closing them overnight is not the solution. The changes suggested by the above mentioned Wildlife Law are far more likely to be successful. While stricter and more animal friendly regulations are enforced, the concept of the zoo can slowly be phased out over the coming years. ZooAve stands rather proudly in this, in my opinion. They could definitely have more of an impact by rethinking their educational program, but the efforts they put into creating a peaceful and natural environment for the animals are admirable. I was skeptical about visiting a zoo and hadn’t done so in many years, but I left ZooAve feeling rather hopeful for the future.